New Generations has been recognised by Rotary International as the fifth avenue of Service. When we invest in youth we invest in the future of our communities as well as Rotary’s future. Clubs in the District are encouraged to support a range of Rotary youth programs such as Youth Exchange, Rotary Youth Program for Enrichment (RYPEN), Rotary Youth Leadership Awards (RYLA), Science and Engineering programs, Model United Nations Assembly (MUNA), Rotaract and Rotary Youth Driver Awareness (RYDA). An open discussion with student’s local Police contact (usually the Liaison Officer attached the their school), this session gives students the opportunity to ask questions and hear about the role of Police in motor vehicle crashes, common offences and the penalties that come along with them. The themes for discussion are framed around a powerful film which is shown at the beginning of the session. The film tells the very real and raw story of a vibrant young woman taken too soon, as told by family and friends still learning to cope with the loss and make sense of her death. It is beautifully shot and presented. It is hard hitting and unashamedly emotional. The RYDA Program is a road safety education program aimed at reducing death and injury amongst young people on Australian roads. The Program targets 16 to 17 year olds who are at the stage of their lives where they start to drive or ride in a vehicle driven by their peers. Students are shown the impact of differing speeds, reaction time and vehicle traction on the length of time that it takes to stop a vehicle. They are given the opportunity to travel in a vehicle, driven by a licensed driving instructor, as well as observe from outside. The importance of the condition of the vehicle is emphasised along with the impact of road conditions. 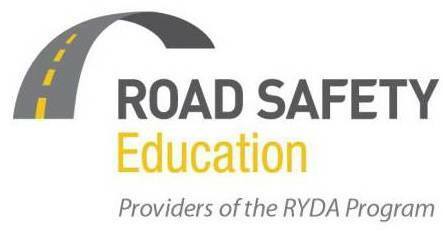 New name and an increased commitment to saving young lives RYDA Australia, a not for profit organisation responsible for the delivery of quality evidence-based road safety education programs to young people is changing its name to Road Safety Education Limited.